Here is Concord Tree & Landscaping Company to help you in matters of Lexington landscape design. We take the responsibility in the manner to help you feel the lush green grass tickling your toes at the best. We take care of the entire area with the vibrant flowers and the perfect hue of the background and there are fragrant shrubs to delight people with the sweet scent. Here is the option of landscape design Lexington MA to make the lawn of your house look green and impressive. In the way, we try to increase the real and the substantial value of the property with the pleasing aroma and the aesthetics. Concord Tree & Landscaping Company is offering the option of preferred landscape design for the benefit of the people and the environment. Here, we give you the scope to explore the perfect benefits of landscaping. We make use of grass to cover the landscape and the option s cooler when compared to asphalt and cement. The grass is the natural air conditioner and it helps in making the ambiance just perfect. We prepare the lawn in the manner to make it 31 degrees cooler when compared to asphalt and 20 degrees cooler when compared to the bare soil. We are always ready with the perfect Lexington landscape design. We have the line of trees shading the homes and this helps the domiciles stay so perfectly cool. The shading of the trees helps in reducing the attic temperature and it can well control the scorching heat of 40 degrees. These are some of the best landscape arrangements we provide to help make the air best and soothing. We make use of grass and this act as the best environment cleaner. Grass can perfectly capture the dust, the smoke particles and the rest of the pollutants. Grass also helps in producing ample oxygen and this works in filtering the surrounding air. Concord Tree & Landscaping Company is interested in making use of grass and this will turn the lawn healthy and help the same take in the unhealthy runoff that can otherwise help in filtering the contents of water. 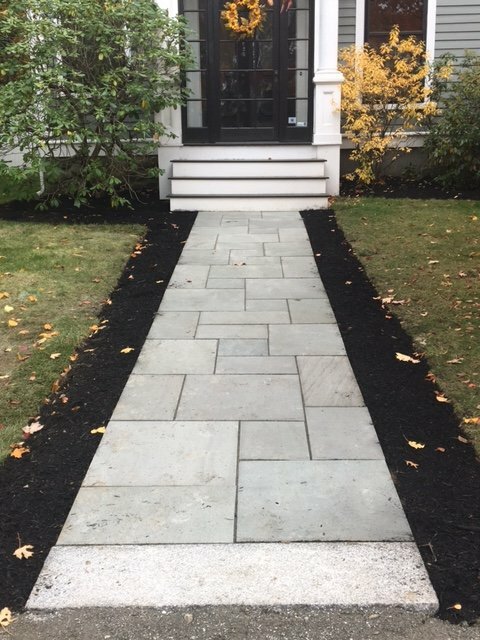 We have the best landscape design Lexington MA solutions ready for your convenience. In case you feel that your landscape is not proper you can give us a quick call to avail for the proficient land designer at Concord Tree & Landscaping.